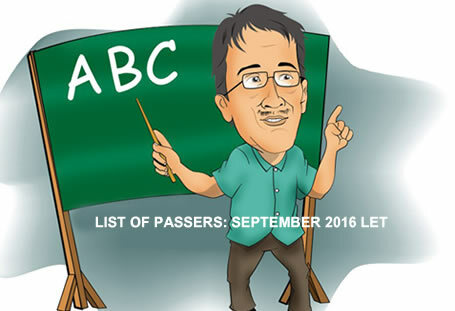 The information below contains the list of the official passers for the Board Examination for Teachers or popularly known as LET or Licensure Examination for Teachers held last September 25, 2016. According to some sites the expected date of the results will be this coming November 21 to December 9, 2016. So please visit this page daily for our updates. The list is for Secondary Level only. Congratulations to all the passers and better study and pray hard next for the unfortunates. Note: The list above will be updated once the PRC released the official results of passers.